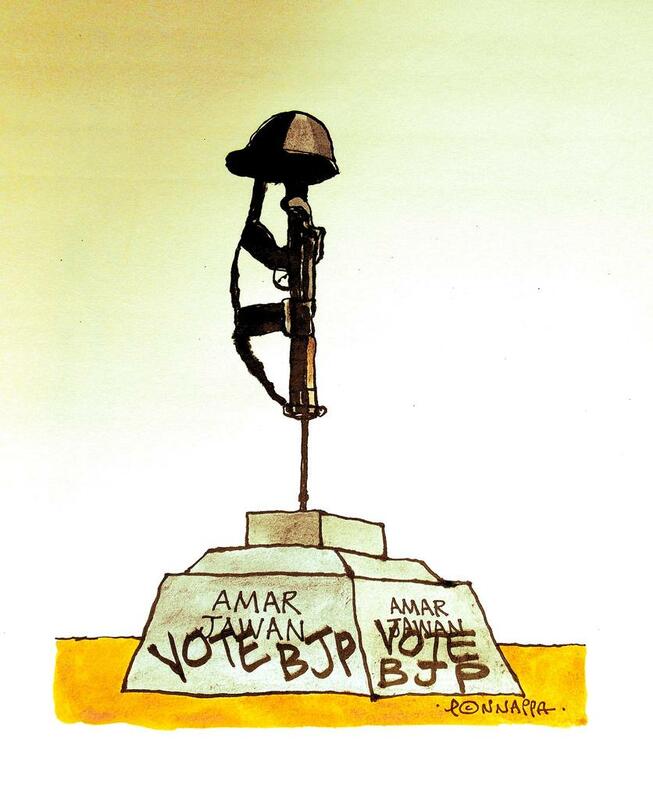 Nala Ponnappa takes a potshot at BJP leaders for seeking votes in the name of armed forces. 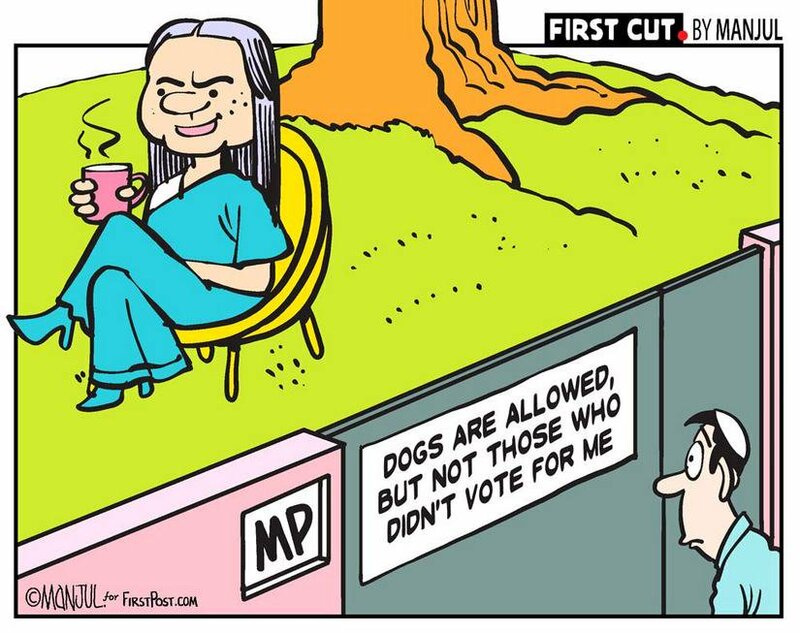 After a video went viral on social media in which Union minister Maneka Gandhi was heard saying she would only favour those who vote for her, Manjul takes a jibe at the BJP leader who also happens to be an animals rights activist. 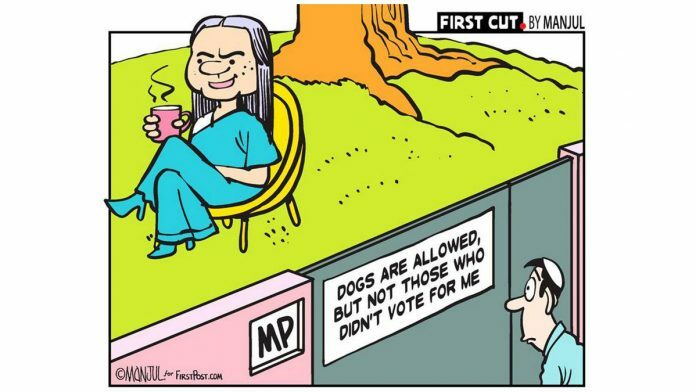 Sajith Kumar also refers to the comments of Maneka Gandhi and another BJP leader, Sakshi Maharaj, as he highlights the dangerous prejudices of Indian politicians. 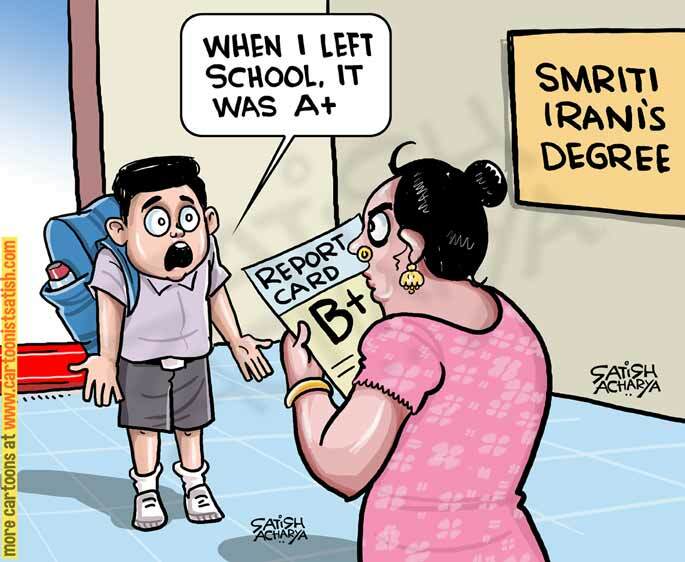 Satish Acharya pokes fun at actor-turned-politician and Union minister Smriti Irani after the controversy over her educational qualification deepens. 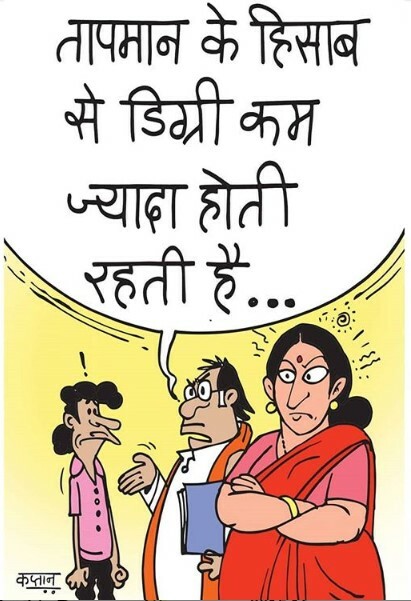 Punning on the word ‘degree’, Irshad Kaptan also takes a jibe at Union minister Smriti Irani’s academic qualifications. 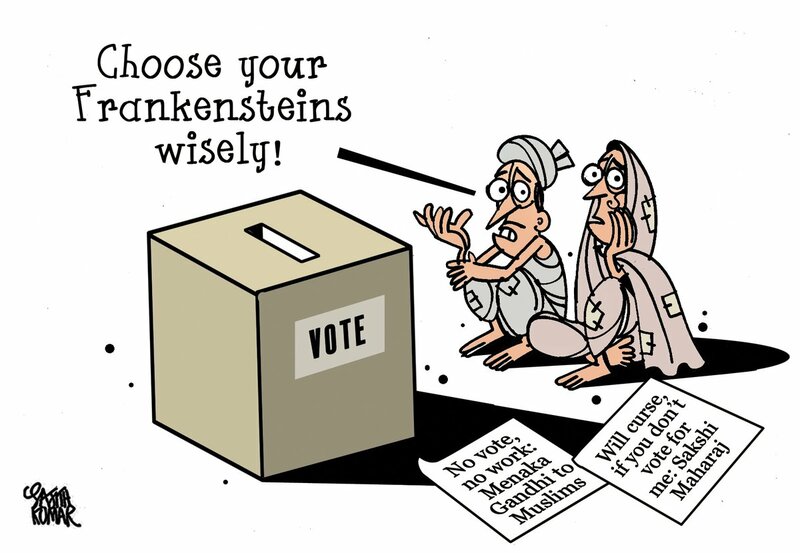 On the centenary of the Jallianwala Bagh massacre, Sandeep Adhwaryu puns on the word ‘dire’ to highlight Union minister Maneka Gandhi’s statement to Muslim voters. 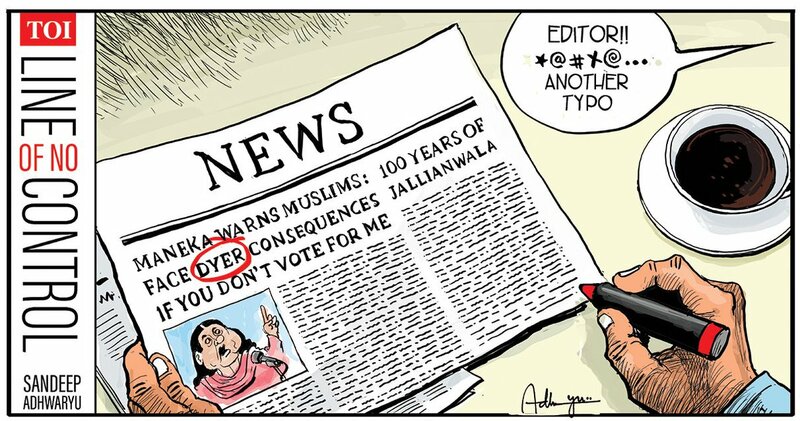 The cartoonist refers to British general Reginald Dyer who ordered to open fire at hundreds of Sikh pilgrims at Jallianwala Bagh in Amritsar in 1919. 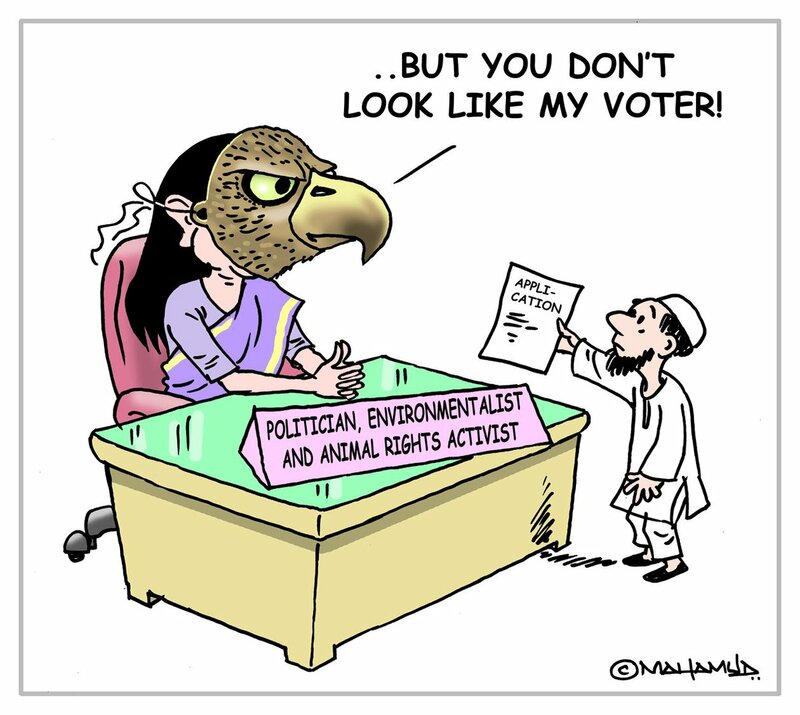 Mahamud also comments on the hypocrisy of BJP leader and Union minister Maneka Gandhi who calls herself an ‘environmentalist and animal rights activist’.